What do you get when you combine catchy tunes (both original and cover tunes), wholesome personalities, polished and dramatic arrangements, exceptional musical and vocal skills, superior showmanship, and a whole lot of gorgeous? You get a bright ray of sunshine in an increasingly darker world – Firefly! 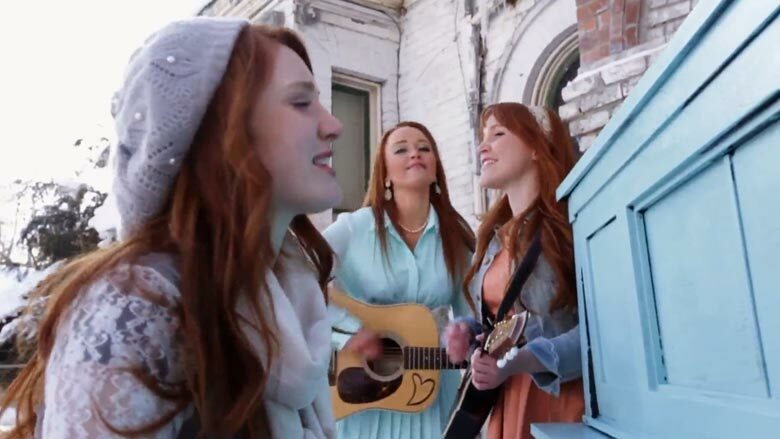 They have been compared to the Dixie Chicks and are a fast rising star in the pop country music scene. There’s a lot more to these three girls than just good looks – they’re the whole package. With three-part harmonies that make audiences melt, is it any wonder why these sisters are pulling in fans faster than the speed of firefly light? This sparkling group of sisters have it all – personality, dazzling smiles, stellar vocals, superb song-writing chops, delightful harmonies, and more than their fair share of good looks. Is it any wonder why their popularity is growing exponentially? The future is bright for this talented group, so book them while you still can. When you’re looking a fresh, clean sound with exquisite harmonies and stellar musicianship, look no further. Invite this fabulous trio to your next corporate event, important party, county fair, or other special celebration and give your guests something they’ll never forget – good music delivered by three talented and gorgeous girls.